The Obligatory Post About Money. Funny that I was just telling the husband last week that I knew that with things uncertain right now, I needed to stop buying lunch at work, but that it was hard because being able to just grab lunch like that made me feel like a person. This whole piece just resonated so much with me. We’re in a much different situation than the author, but the truth of the way that having been poor affects your life is something my family experiences every day. This entry was posted in Life on July 7, 2013 by deb. on this list. It is the honest truth and I’m terrible about remembering it! Not much crafting this week in the crazy heat. I have one little bag to photograph and show you, but it’s waiting for me to summon the energy. We’re in the fourth day of a heat wave and no relief in sight. I really miss central air. Our 4th of July was lovely. We got to the fireworks far too early again…the town said “sometime after dusk” and that turned out to be about 10:15, a good half-hour after the kids started whining. I was enjoying being out in the fresher, cooler air, myself, but I’m a mom so I don’t know anything. 🙂 The show was spectacular once it got going, and well worth the wait. It always surprises me what great fireworks we have in such a little town. A few errands to run today, and then I have plans to sit around and try to keep cool! 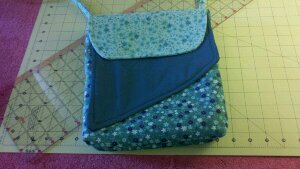 This entry was posted in Life, Sewing on July 6, 2013 by deb.